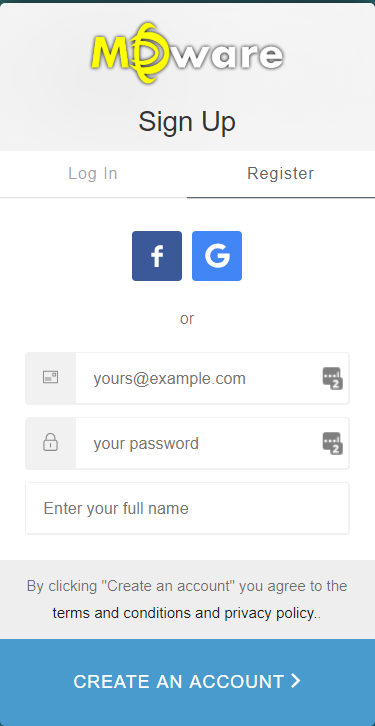 This article explains how to easily register on the MDware platform. Surf to the link below in your browser: "http://retailtools.mdware.org"
a) Fill in the following fields: "Email", "Password" and "Full Name", then click the "Create an Account" button. b) Log in with an existing Facebook or Google Account, your MDware Account will automatically be created. Now you are welcomed by the platform overview page, you're successfully registered!